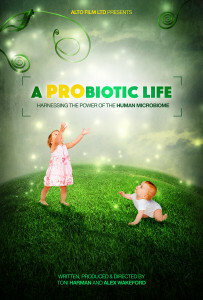 A PROBIOTIC LIFE is an exciting new cross-media project currently in production that is a kind of “self-help” plan for the species. For the past 100 years, we have been waging war on the microbes in our bodies. Through use of antibiotics, anti-bacterial products, C-Sections, eating processed foods and living lives in sterile boxes – studies have shown that those of us living “Westernised” lifestyles have lost around a third of the diversity of bacterial species in our bodies. With this loss of microbial diversity, we could have lost some of our protection against disease. Everything from asthma to diabetes, from bowel disorders to some cancers, from obesity to many mental health conditions – these are being linked to a “dysbiosis” in our gut microbiome – in other words, our bacterial ecosystem being knocked out of balance. Perhaps there’s another way. Perhaps the key to unlock our health, happiness and future well- being is to start living lives that are in harmony with bacteria? In other words, to live to start living what we are calling A PROBIOTIC LIFE. Through feature documentaries, books, apps, educational resources and websites, this project explores the latest science to find out whether living a pro-bacterial life can be extremely beneficial for your health. In 2014 we released our first feature length documentary, Microbirth. It explored the seeding of the infant microbiome during birth and is currently being distributed worldwide on multiple platforms. We followed this up in 2016 with a book, The Microbiome Effect, which dived much deeper into the science behind Microbirth. The UK publication is currently available through Pinter & Martin. The US publication will be released by Chelsea Green later in 2016. We are currently working on educational resources surrounding Microbirth which will be available later in 2016. Film status: Released on DVD and multiple worldwide platforms. Book status: Published April 2016 in UK. US release end of 2016. Educational resources: in development. Release date end 2016. We are currently filming a new documentary that will explore the role of the human microbiome from conception, through pregnancy, birth, breastfeeding and infancy up until the age of two-three. Film status: in production for a 2017 release. We are also working on a documentary exploring how to protect, maintain and influence the gut microbiome throughout life for the best possible health. Film status: in production for a late 2016 release. 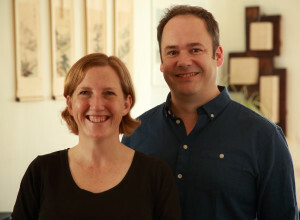 This documentary film will explore the changes to the human gut microbiome in later life and how a person can maintain the best possible health through diet and microbial exposures. As the project moves forward, we’ll be continually blogging about our adventures into microbiome and about what we uncover, so we hope you’ll join us on the journey!